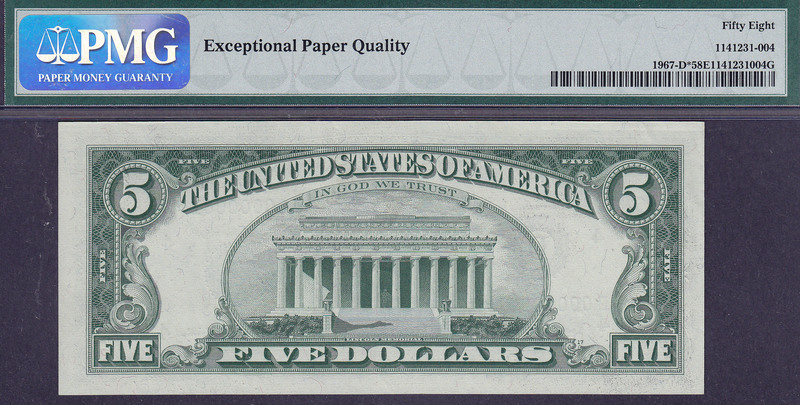 This is another of the serial number one star notes from the famous Jhon E Cash Collection of serial number star notes. 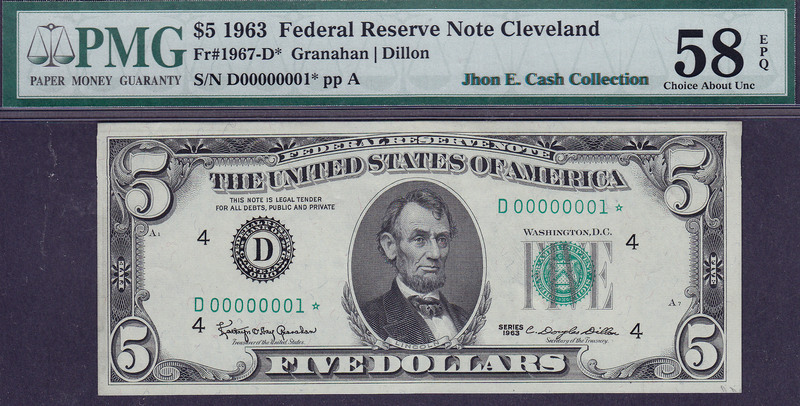 It is a 1963 $5 FRN for the Cleveland District. The serial number is D00000001*. 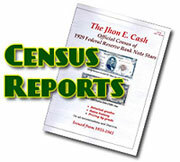 I can find no other record of a $5 FRN serial number star being sold or in a major auction.